Jungle references commercial style art found on fabric and how that artwork patterns itself from organic designs. The painting visually breaks itself from patterning by not having a repeatitous set pattern. The minimal color is offset by the forms and layers. 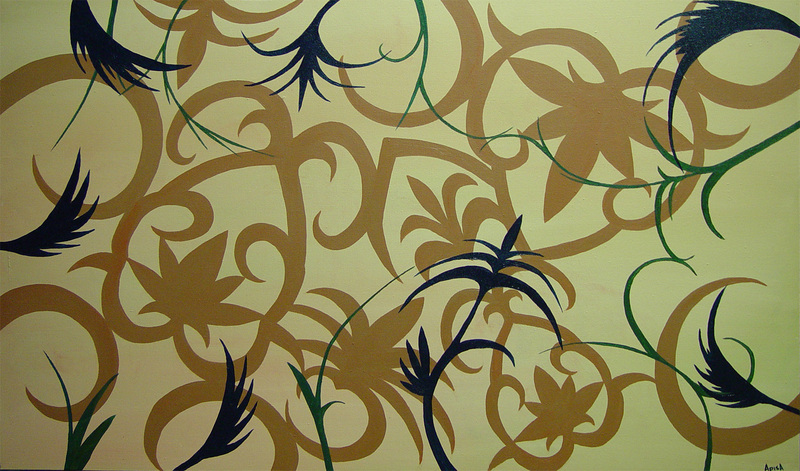 The shapes themselves stem from commercial art but also from Samoan Siapo (a.k.a. Tapa) and curvilinear forms used by the Maori in their traditional artwork as they create a unique composition.